When we had last left off on Project STI’s engine, we had just upgraded the cooling system in anticipation of another round of tuning. What was supposed to be just some routine installation of a few parts to get a little more power ended up being something a lot more complicated, time consuming and involved. 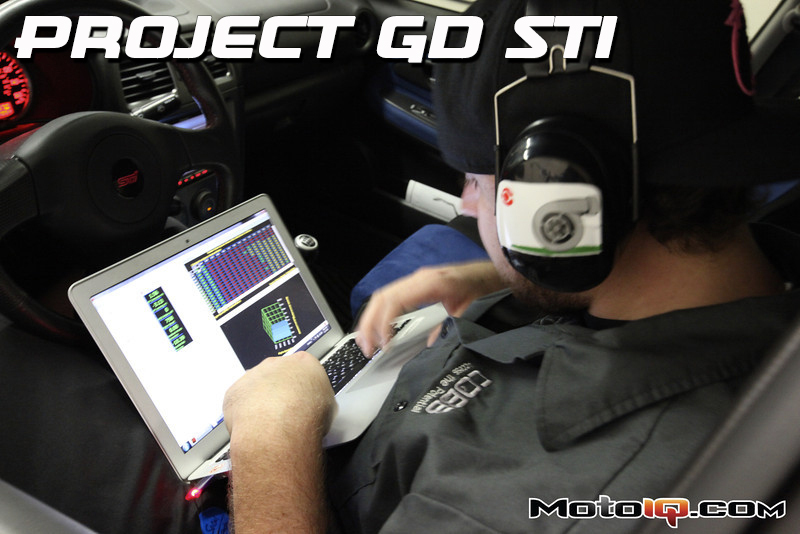 Read more about MotoIQ Project GD STI! We used Cobb Tuning’s down pipe to complete our exhaust. 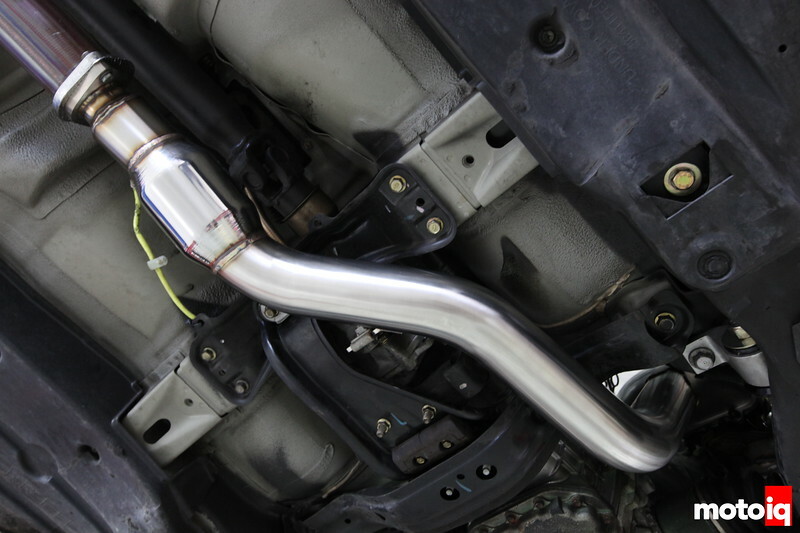 The Cobb downpipe is a really nicely made piece fabricated from 3″ 304 stainless steel. It is quite a bit bigger than the stock downpipe. 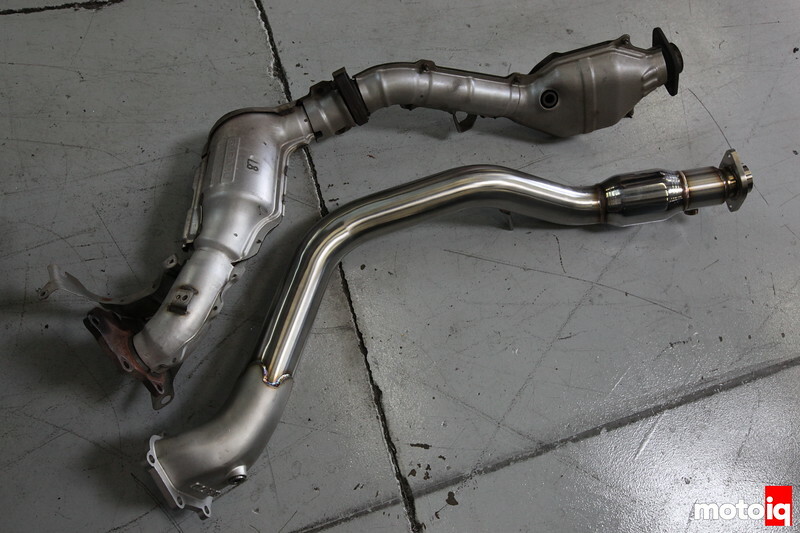 The Cobb downpipe cones with a high flow catalytic converter. 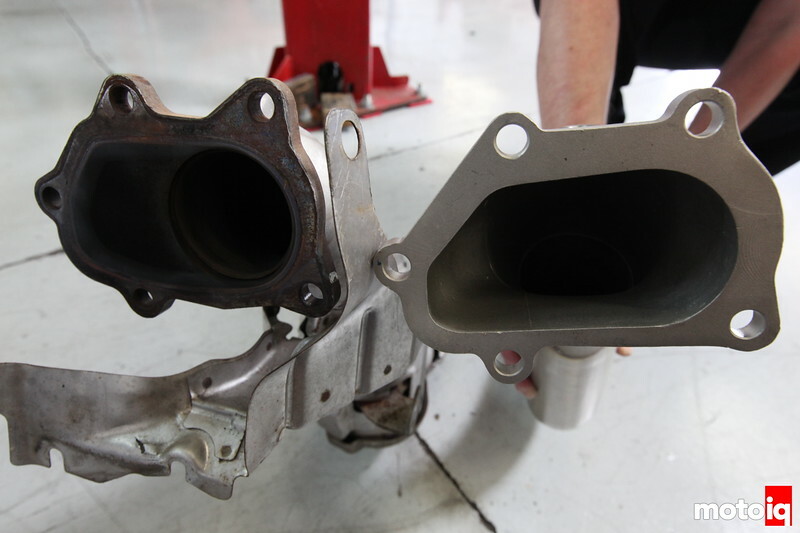 The Cobb downpipe on the right has a cavernous turbo outlet investment cast from stainless steel. This gives a lot more space for the wastegate discharge to flow. The stock downpipe has a shallow cutout while the Cobb part is more like a big funnel for the exhaust. Using a casting here allows Cobb to make a complicated part with large interior volume capable of fitting into a tight area. The tooling for this is quite expensive but the results are worth it. 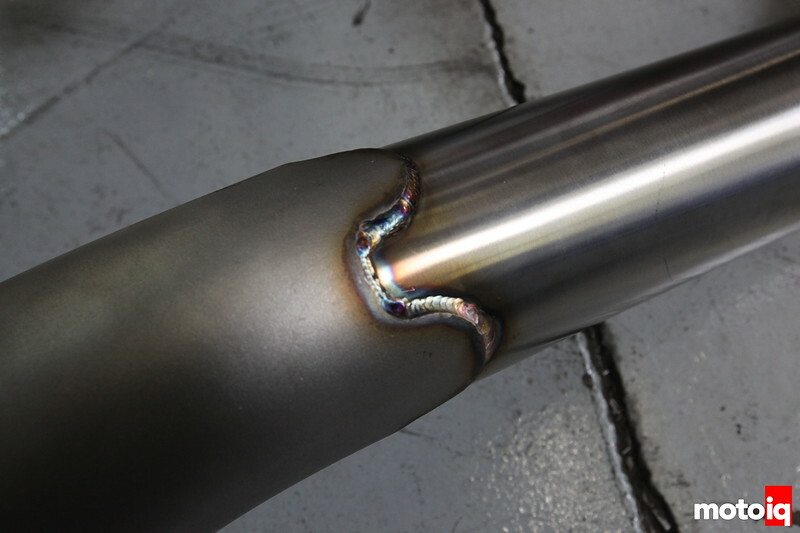 The juncture of the turbine discharge casting to the tubular downpipe is fish mouthed to have more weld area for improved strength. The quality of the Cobb part is amazing. 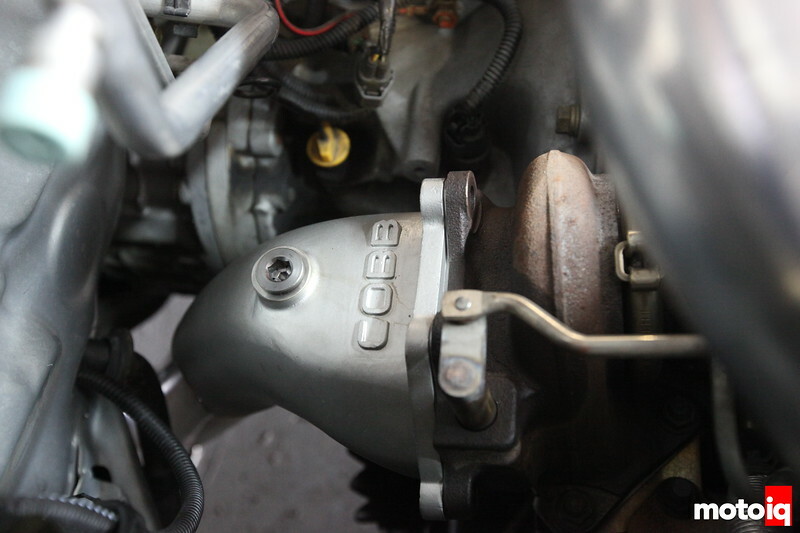 The wastegate discharge has a cast in fitting to allow for a wideband 02 sensor to be used when tuning. The Cobb downpipe fits well with no interference with other parts underneath the car.